Google Thewallinna and other creatures: Chicken or egg, or the lessons learnt. Fabric or pattern? That is the question.... Which one do you buy first? Are you also tortured every time you pass by a fabric store or browse the Net, and see a fabric/pattern you like but doesn't really suit to the pattern/fabric you already own? In most cases I buy fabric & patterns because I like them. But if I don't change my attitude I'll end up with a wardrobe full of useless fabric! Angry, I left home for more fabric shopping in the hope of finding similar silk to finish the jumpsuit. But of course, they had everything but black polka dot silk. Still, I did not come home empty-handed, but with all these lovely colors in my Yuzawaya bag!!!!!!!!! The God of sewing gave me reasons to add more fabrics to my stash! 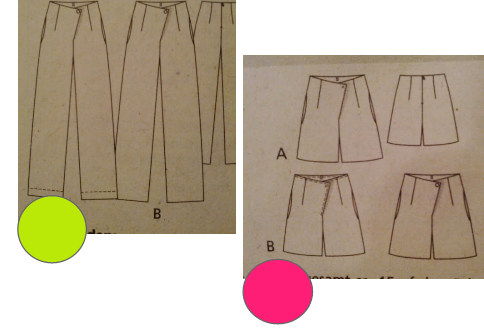 Reason #1: "The yellow woolen blend will work for this pants pattern; 2.30m!" Reason #2: "The fuchsia fabric will make pretty shorts: only 1.30m !" By the way, those colors are such a perfect match for my Spring&Summer 2012 palette challenge. 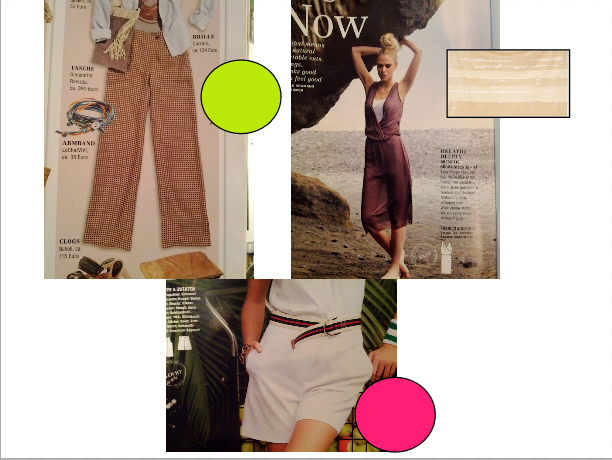 Both patterns are from the May edition of Burda Style magazine. Not available online :( Sorry! A little accident happened though... I saw Nani Iro! How could I resist? The God of sewing helped me again. 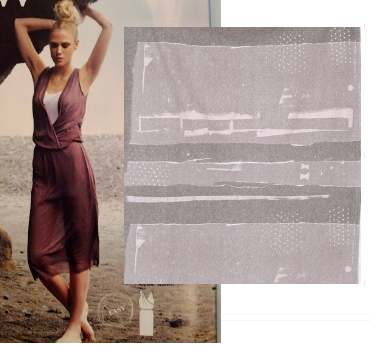 Reason #3: "4m of Star Fog knit collection for the summer dress". And it IS actually transforming into the summer dress! I've cut all of the pieces & serged the edges. It will be ready tomorrow ;) The color is not at all like something I would usually wear, but I decided to give it a try. Listening to the voice of reason, I will try to use my stash more effectively and stop buying fabric for the sake of it. So what do you buy first: pattern or fabric? Do you choose fabric to match your pattern? How do you manage your fabric stash? Do you also make a "I-stop-buying-tons-of-fabric"resolution? I don't buy fabric until I finish a pattern and am ready to sew a project. It's hard to resist temptation sometimes but the wait helps me think about what type of fabric I really want. Oh dear! I hope to be stronger in the future! By the way, a crafty meet-up at Anjin Cafe sounds very interesting so when you have one, I'd like to join there! I am not sure I (a beginner, no education of sewing, etc.) could be a good member of the meeting, but at least I could show you some of my collection of old sewing magazines (yes, I have already collected some!). I like to plan too. But when I cannot stop buying fabric! Going to make it my be-later New Year's resolution.